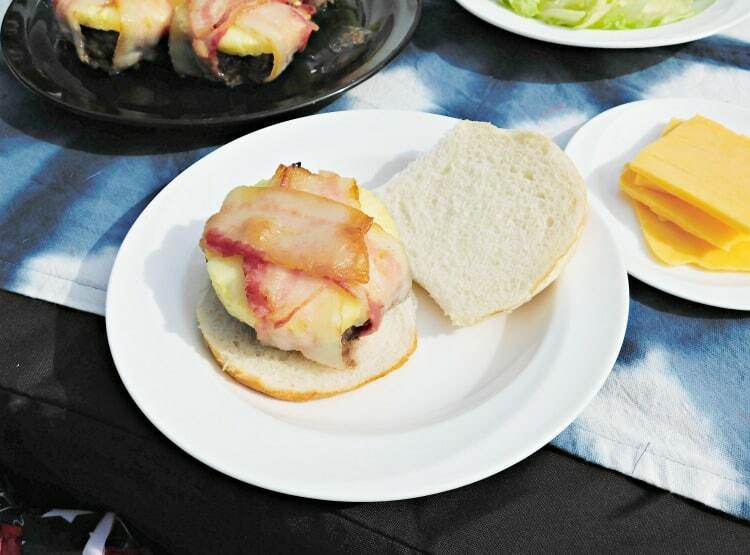 This bacon wrapped burger will be a favorite at your next summer grilling party. 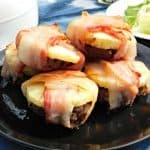 Homemade ground beef patties are topped with slices of fresh pineapple and wrapped in strips of bacon before being grilled to perfection. Slide it onto a bun and top with your favorite condiments and toppings and you’ll wonder why you’ve never tried a bacon wrapped burger before. It’s official, grilling season is here! 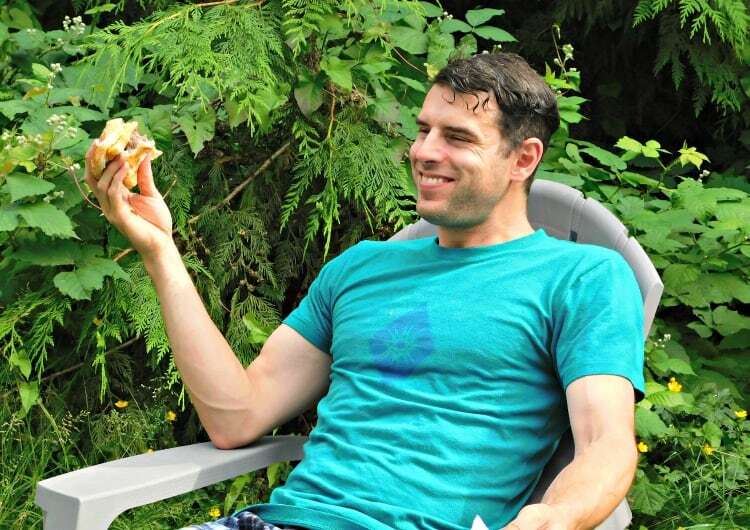 I’m looking forward to doing nothing on lazy summer days except hanging out in my hammock, sipping on lemonade, and busting out the grill for some tasty grilled bacon wrapped burgers in the evenings. Whether you are an expert grill-master or a grilling newbie you’ll love this recipe for bacon wrapped burgers. Ground beef mixed with onions and spices and formed into patties for this recipe. A slice of pineapple is placed on top before it is wrapped in bacon slices and grilled to a delicious golden brown. Friends and family will love these juicy burgers and you’ll want to add it to your list of must-have grilling recipes. One of the things you might not be looking forward to about grilling and barbecue this summer is that it can be messy. When I was shopping at Fred Meyer for ingredients I also picked up some supplies to clean up. 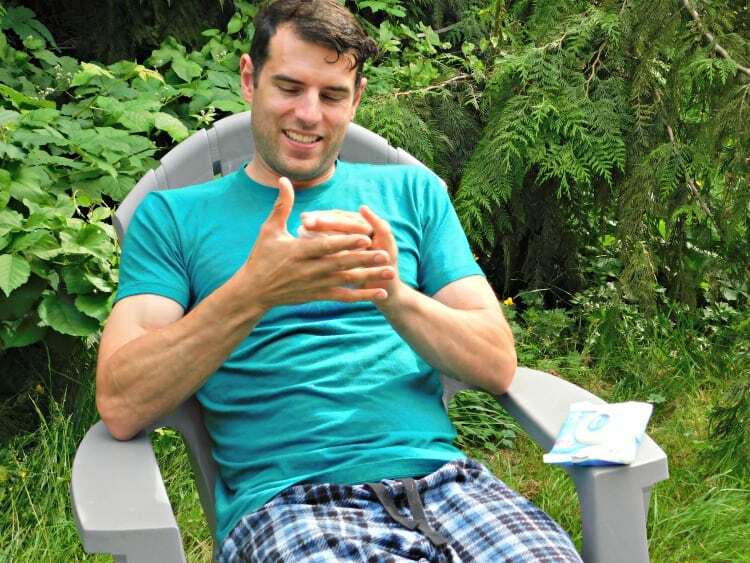 New Kleenex® Wet Wipes Gentle Clean are a new product for cleaning your hands and face (and trust me, my husband and I needed them!). They are found in the facial tissue isle. They are thick and soft and perfect for adults who need to clean up after a messy meal. You’ll want to bring these to your next barbecue or picnic. They help you clean up your messy fingers and face with no harsh chemicals. 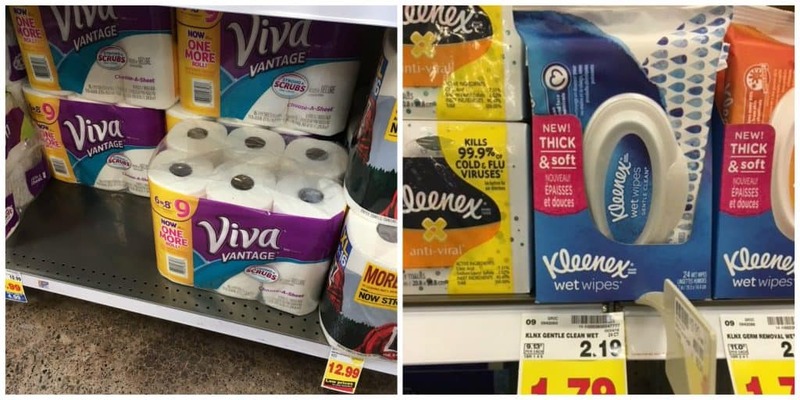 I also picked up some VIVA® Vantage® Big Roll Paper Towels. 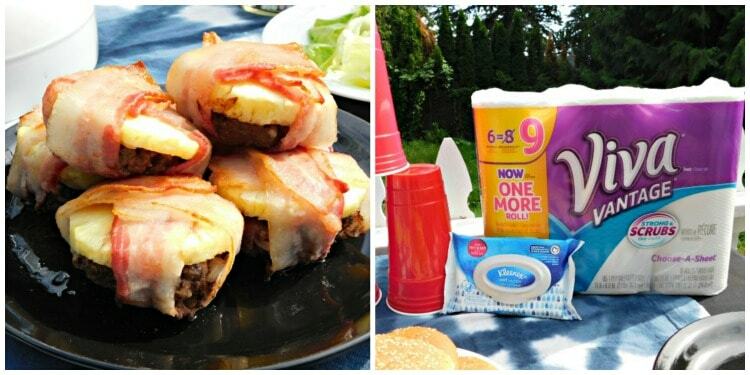 Barbecue messes are no match for VIVA so make sure you load on the extra sauce! Take the ground beef and place it in a bowl. Add the salt, pepper and garlic. Mix it well and form it into patties with your hands. This recipe will make approximately 6 burgers. 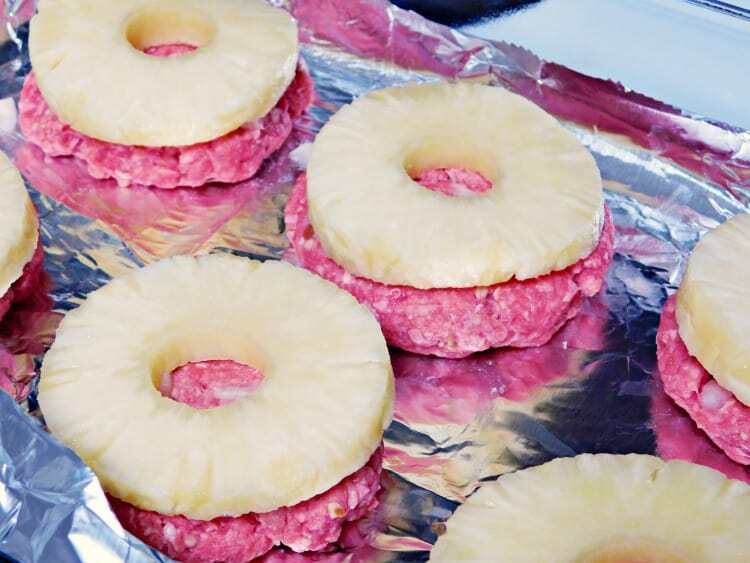 Place a thin slice of pineapple on top of each of the burger patties. For each burger, take two bacon strips and place them on your cutting board in an X pattern. 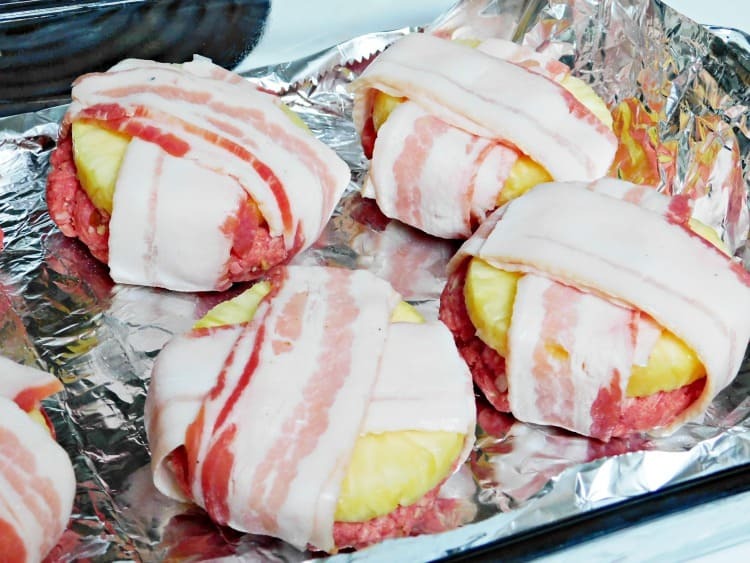 Place the pineapple covered patty on the bacon X and fold the bacon strips over one another. You can secure the bacon with a toothpick if you necessary but I didn’t need to. 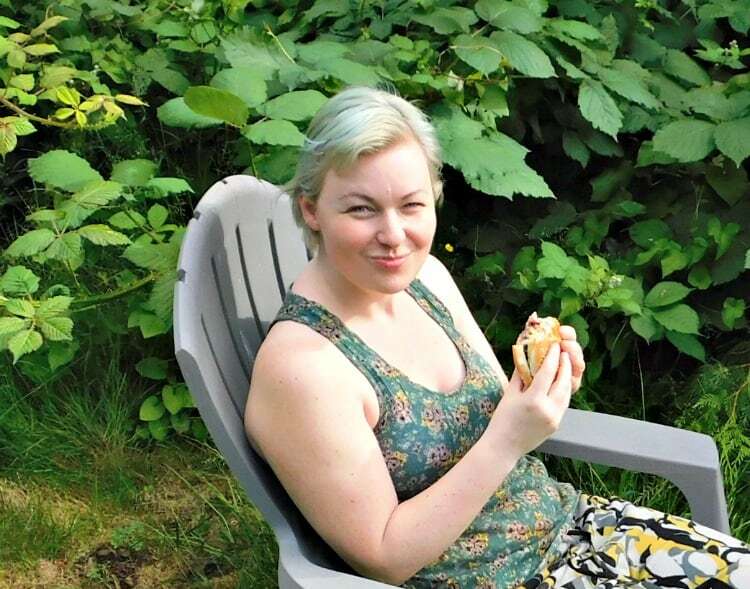 Deciding how long to grill your beef hamburgers depends on your personal preference. Medium-rare: Cook patty on one side for three minutes. Turn it over and cook for an additional four minutes. Medium: Cook patty on one side for three minutes. The United States Department of Agriculture recommends 160°F to ensure that all areas of the food have reached a temperature of 140°F or higher. 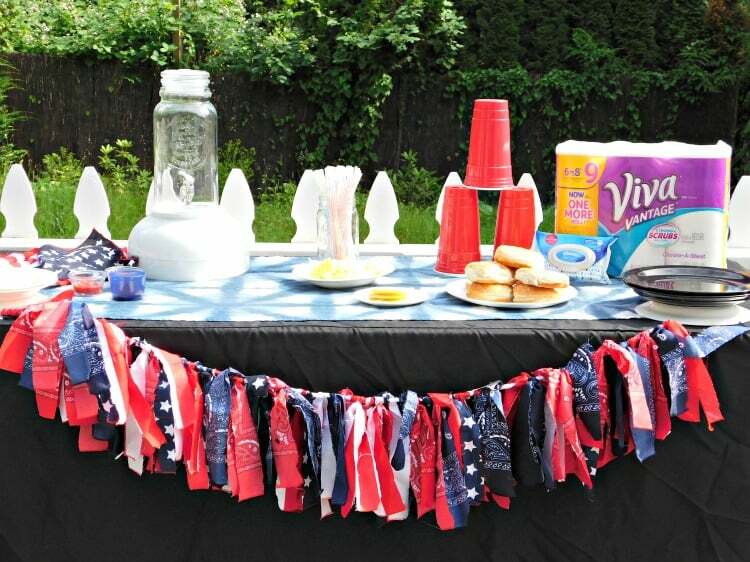 I set up a fun table in our yard for our little backyard barbecue. Fred Meyer and Kroger brands are proud supporters of the USO, which is an organization that helps veterans. 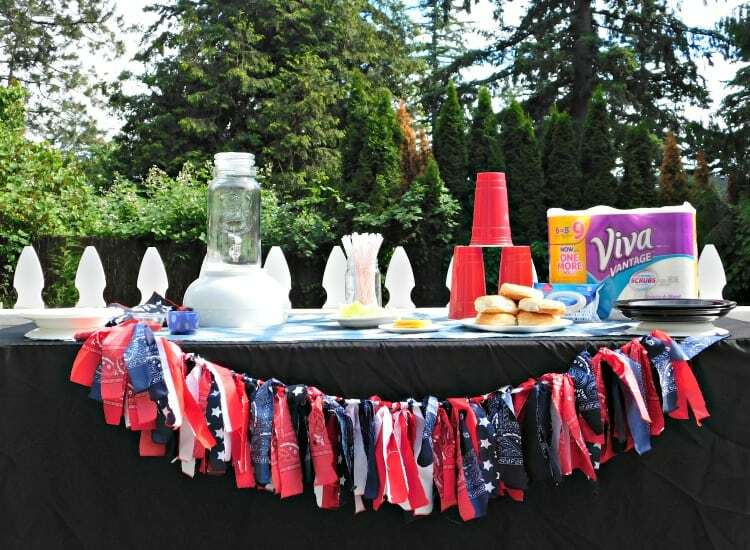 My husband is a Navy veteran so I wanted to honor him with a fun backyard party. 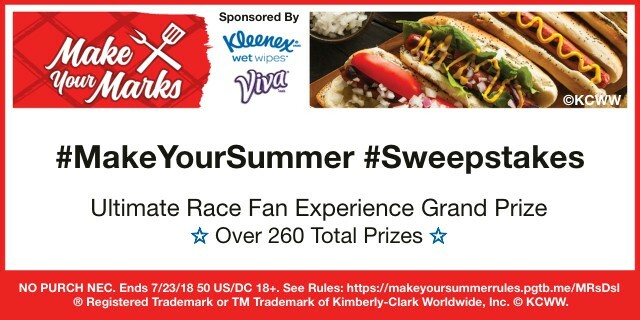 Visit the Social Hub for more unique grilling inspiration, and enter the #MakeYourSummer Sweepstakes for a chance to win a Kroger gift card or a NASCAR experience! You can secure the bacon with a toothpick if you necessary but I didn't need to. The United States Department of Agriculture recommends 160°F to ensure that all areas of the food have reached a temperature of 140°F or higher, but we've found that at that temperature all of the moisture is gone as well. 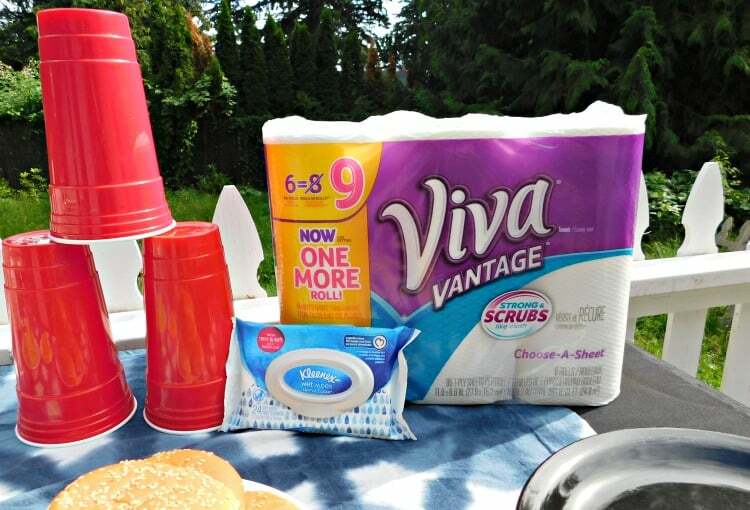 After you are done eating clean up with Kleenex® Wet Wipes Gentle Clean and VIVA® Vantage® Big Roll Paper Towels. What are you grilling up this summer? Let me know in the comments! Thanks for the recipe, going to try it on 4th. Always like to have new ideas on the good ole American hamburger!! These look DELICIOUS! Cant wait to make them!